We have three pairs of tickets to win for Grand Designs Live taking place in London between the 3rd and 11th of May 2014. 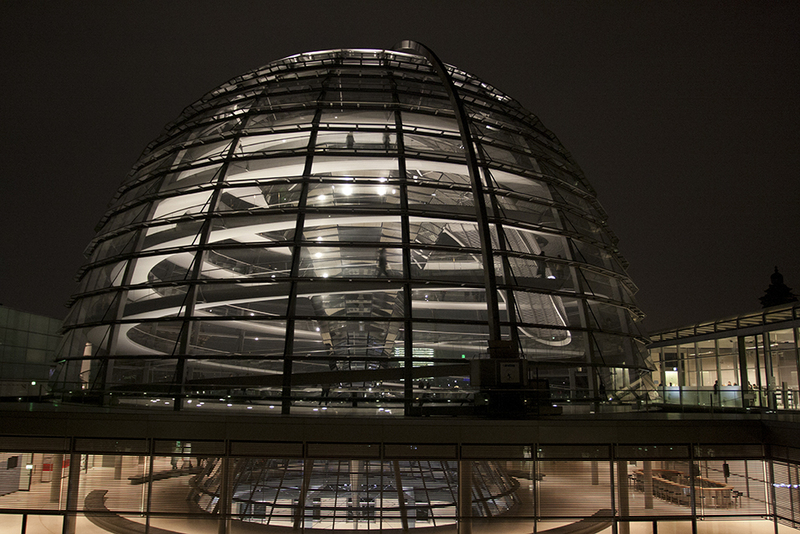 Which architect designed the dome (pictured below) as part of the restoration of the Reichstag in Berlin. Submit your answer a. b. or c. in the comments below along with your contact details and we’ll be in touch with the lucky winners! HINT: You might find the answer here. Grand Designs Live is the UK’s leading contemporary home show and will be running for the 8th year at Excel London. The show is hosted by TV’s Kevin McCloud and is designed for consumers seeking inspiration and expert advice for everything from home redecoration, to renovations, or full scale self-build projects. Prize includes two tickets for Grand Designs Live taking place at Excel London between 3rd and 11th May 2014. Prize draw will take place on 2nd May 2014 and the winner will be notified by email or phone. Winners are responsible for their own travel, transport and other expenses. Entrants will not be notified unless they have won the prize draw. The tickets will only be posted to a UK address. You permit us to contact you via email for marketing purposes. Granit’s decision is final and binding in all matters. No correspondence will be entered into. The prize is non transferable and there is no cash alternative.